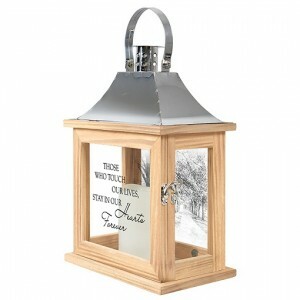 Let the warm glow of our lanterns fill their hearts and their home with treasured memories. 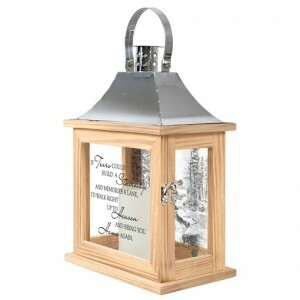 Expertly crafted, our elegant keepsake features a flameless LED candle inside that gently flickers fro a cozy, peaceful ambiance. 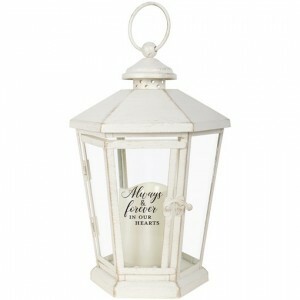 Adding to its beauty is the touching sentiment that adorns the lantern. 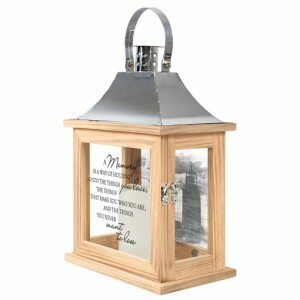 Our Memorial Lanterns, by Carson Home Accents, are made from quality composite wood and a stainless steel or a stainless steel copper finish top. They feature a built-in automatic timer which runs for 6 hours on and 18 hours off(3-AAA batteries included). DO NOT use fire burning candles in the lanterns. 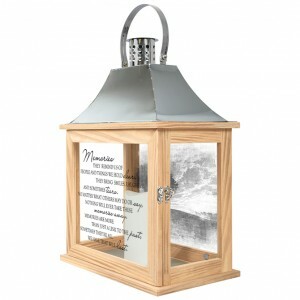 Suitable for hanging or free-standing use inside or outside. Recommended as an accent in floral arrangements for many occasions! If you have any questions please give us a call at 812-945-2544 or stop by our New Albany or Sellersburg location.